Omnica Corporation is a privately-held design and engineering firm located in Irvine, California. The company is staffed with full-time employees and has been in operation since 1984. 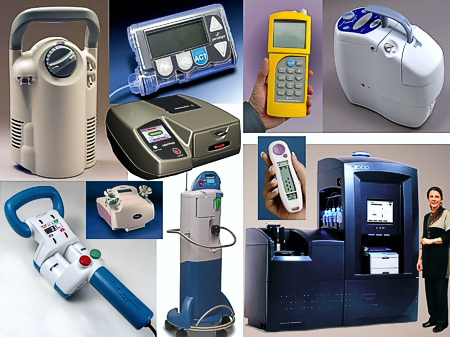 Our specialty is custom product development for health related devices. Depending on your requirements, we can perform everything from concepting the initial idea, performing the design and engineering, prototyping first articles and sourcing appropriate manufacturers. The projects we develop range from disposables, hand-held instruments and surgical devices to monitoring equipment, laboratory instrumentation, IVD products and point-of-care devices. Our resources and personnel enable us to be especially capable at developing technically complex projects that require six to eighteen months for completion. Virtually all development, design, and prototyping are done on the premises with our employees, tools, and resources. Technical personnel at Omnica include industrial designers, mechanical engineers, electronic engineers, advanced R&D specialists, regulatory staff, machinists and model makers. Our staff are familiar with FDA and have experience in designing for compliance with most regulatory standards including CE, UL, ISO, MDR and Quality Systems Regulations. Medical and high-technology product design and engineering. Product design, R&D, Mechanical and Electronic engineering. Omnica Corporation specializes in custom product development and product design for the medical and life science industries. We are especially well equipped to develop projects focused primarily on complex health devices and products, which include point-of-care devices, IVD products, laboratory instrumentation, handheld products, monitoring equipment, and electro-mechanical devices in general, ranging in size from small implantables to large free-standing systems. Omnica is located in Irvine, California. 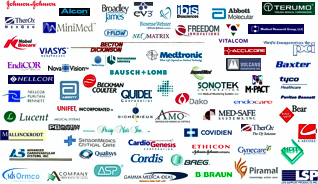 We've designed medical devices and high-tech products since 1984. Our firm is comprised of industrial design professionals, mechanical and electronic engineers, a software development team, R&D specialists, Quality Systems and regulatory staff, machinists and model makers. All of our people are full time employees with an average tenure of 16 years. At Omnica we have the manpower and resources to do everything: R&D, feasibility, the initial concepts, design, engineering and prototyping of the first articles, final engineering, FDA documentation, and vendor sourcing. If appropriate, we will also coordinate a smooth transfer to manufacturing. At our 25,000 square foot facility we can build prototypes and first articles of almost everything we design. Our high-tech tools, allow us to limit our use of service bureaus, which significantly reduces development time. Industrial Design- Our industrial designers work closely with our electronic engineers and mechanical engineers to solve challenges that most design teams are not trained to undertake. They are involved throughout the entire product development process. Mechanical and Electronic Engineering– Our ME's have a wide range of experience. Access to a comprehensive mechanical engineering team and in-house electronic engineers at the same facility are assets most organizations don't have. Software Engineering- Our electronics and software engineers have extensive experience in the electronics and related industries. At Omnica, our experts have access to the most appropriate tools and resources for developing high-tech products. We can provide circuit design, breadboarding, software development, embedded systems, data acquisition and analysis and high-level analog and digital design. Scientific and R&D services - The Advanced Technical Services Group are our people who have experience with Research and Development and aspects of new and existing projects that require methods generally employed only by those in the scientific community. Prototyping and Modelmaking- We have assembled one of the most well equipped modelmaking and prototyping services on the West Coast including 6 rapid prototyping machines and a world-class machine shop. These in-house capabilities allow us to effectively support our other technical departments, and frequently trim weeks from a project development schedule. Documentation and QSR services - Our Project Design Control team can offer guidance to help ensure the final device or product design (the one released to production) meets approved guidelines.